Greetings, Groove-ophiles! 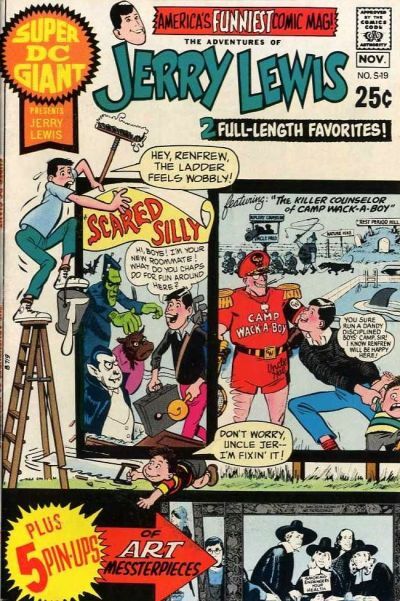 Remember way back in 1970-1971when DC came out with a series of "annuals" (though the indicia said they were bi-monthly) that actually came out a few issues at a time each month? 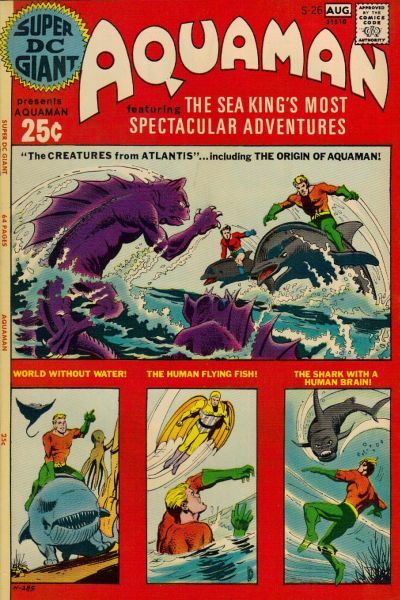 These "annuals" were actually a reprint series called Super DC Giant, and it did a great job of showcasing the variety of DC's line of comics at the time. Batman, the Flash, Supergirl, Aquaman, and Challengers of the Unknown represented the adventure/super-hero mags, while we got western, mystery, humor, and romance with the other editions. Fourteen sixty-four page mags (plus covers) for a quarter (not quite the deal of the twenty-five cent 80 Page Giants of the 60s, but what're ya gonna do?) 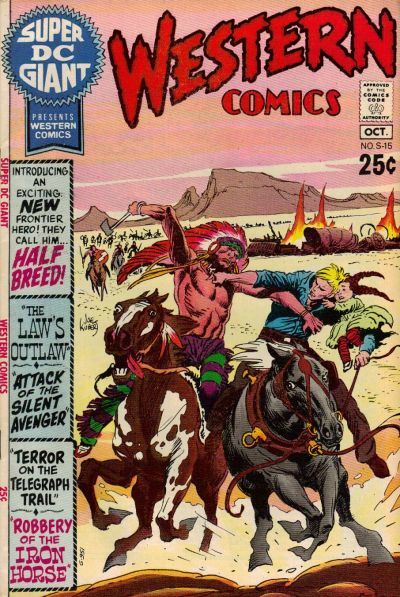 over the summer of 1970 through the spring of 1971, made up mostly of reprints (but a bit of new material here and there) with covers by the likes of Neal Adams, Nick Cardy, Joe Kubert, Jack Kirby, Curt Swan, Murphy Anderson, and others. 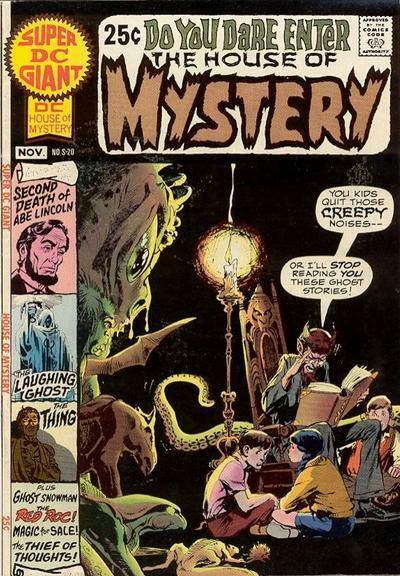 Issues S-13 through S-20 came out in July and August of 1970, while the second batch, issues S-21 through 2-26 hit the newsstand in November 1970, and January-May 1971. 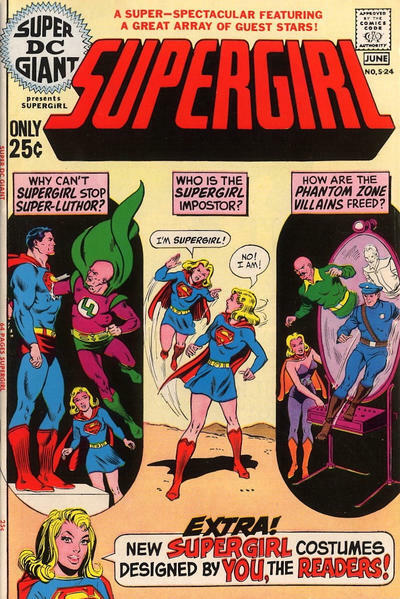 Despite the kooky numbering and wonky schedule, there was enough "love" for Super DC Giant at DC that they tried it for one more ish in the summer of 1976 (finally some love for DC's sci-fi sagas)--and that was it. 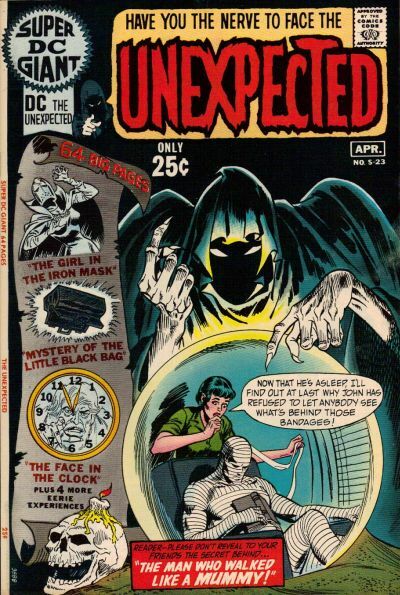 Still, we got a ton of great reprints and cool covers for those 15 issues. Want more could a fan want from a mag? 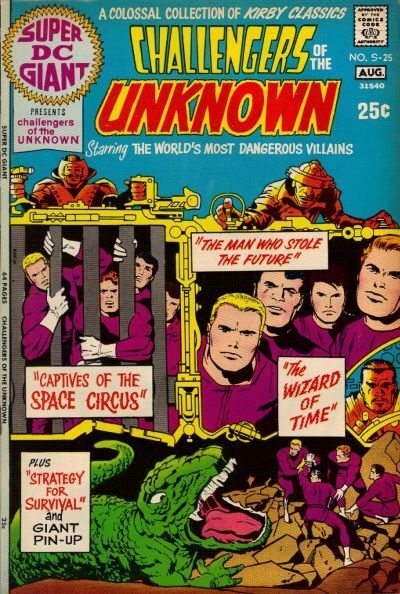 Now dig these cavortin' covers! I had the Supergirl one for some reason and the Challengers with the fantastic new Kirby-Colletta cover is one of my all-time favorite comics. It was my first introduction to the Challengers aside from a few intriguing house ads. 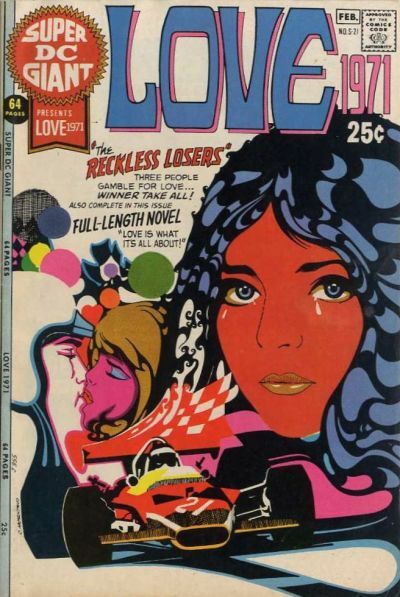 My favorite by far is the cover to Love 1971; it's so beautifully designed and colored. 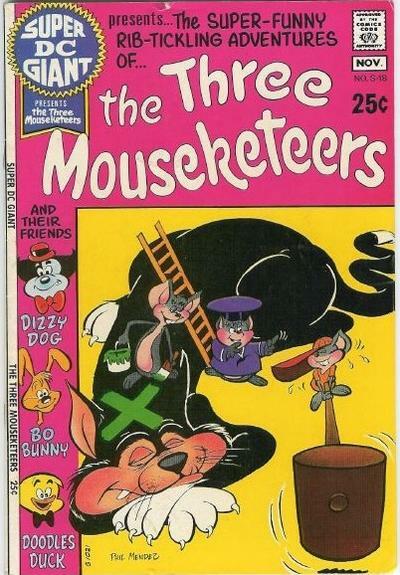 I had to look up the cover artist, only to find it's someone I've never heard of: Charlie Armentano. I thought about putting the artists names under the covers, but I figured most of them were signed...and none of us would know Charlie Armentano, lol! 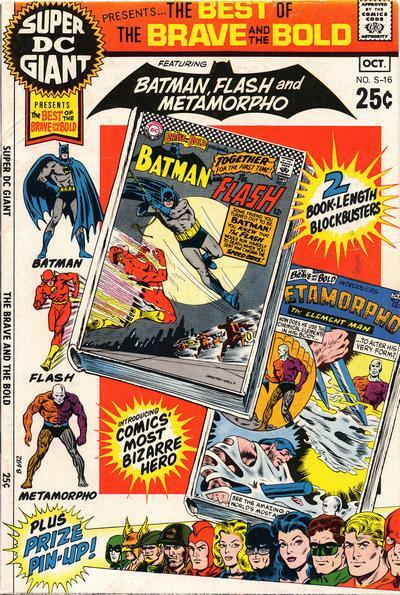 DC had such a great format for there books in the 70's. Generally I'm not into romance books but those covers for Love 1970 and 71 are both excellent. 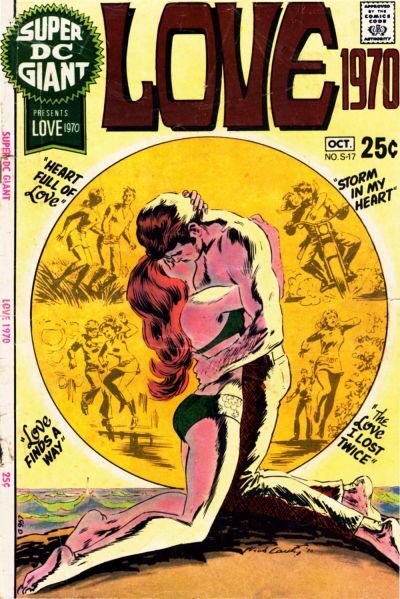 Can anyone tell me on the Love 1970, is that a Nick Cardy cover? That is one fantastic cover. Love 1970 is, indeed, by Cardy. If you enlarge it and look really hard the signature runs below the man's leg, knee to ankle (thereabouts). Oops didn't catch that when I looked at the cover. Thank you Groove for pointing that out. 25 cents in 1970 is the equivalent of $1.53 today. You are dead right. I went back to the "us inflation calculator" wwww site. Not sure what I put in, for the values. 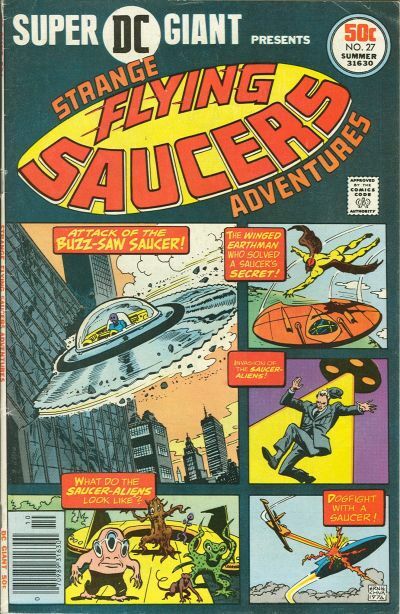 I would definitely pay $1.50 for 64 pages of pure reprints today. 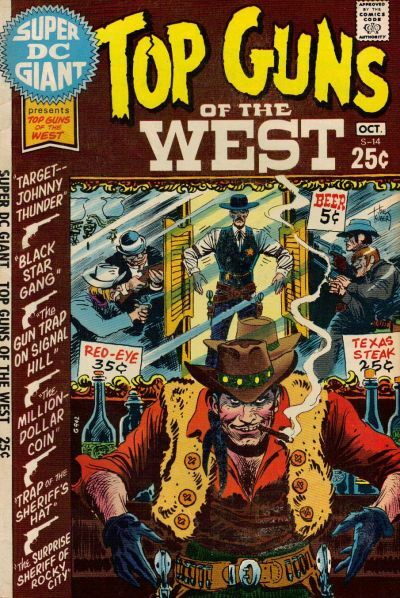 Why do comics cost so much more than what simple inflation would suggest? Reprints would seem to require minimal "labor" to create, compared to all-original product? Groove - I need your address to send you some Sad Sacks! LOL! How do I find you? Vis-a-vis the comic you are doing above called "Grafix?" Man! A quarter used to buy a lot of entertainment, didn't it??!!! 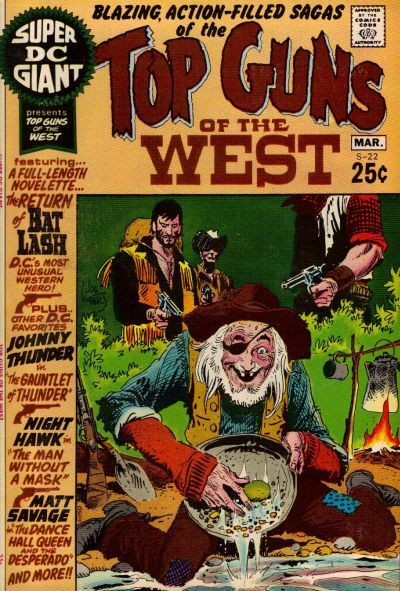 I had the Top Guns of the West near the top of the post, and the Supergirl and Aquaman issues, too. My mom used to buy them for me when she went grocery shopping.